When ready, you will wear these at home with a bleaching gel for a specified length of time each day. 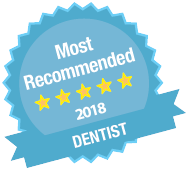 After completing the treatment, which will take a few weeks, you will attend a follow-up appointment to check your teeth have been successfully lightened. Professional home whitening treatment is a superior alternative to kits that can be bought over-the-counter because the mouth trays are designed to be a perfect fit, which allows the active gel to work more effectively. The bleaching agent is also stronger and offers enhanced lightening power. We recommend you use our home whitening kits as, not only are they more effective, they also allow us to keep a close eye on your teeth and help avoid side effects such as gum irritation and tooth sensitivity. This is also known as ‘laser’ or ‘power’ whitening and involves applying a whitening gel to your teeth and using a bright light to speed up the process. It is a much quicker procedure, taking under two hours, and ideal for those who are looking for fast results. This involves placing a whitening agent inside a discoloured tooth that has had root canal therapy, which means the inner part of the tooth (the ‘pulp’) has been removed and replaced with a rubber filling. The lightening product is inserted into a drilled hole which is then sealed with a temporary filling. About a week later, the filling and the bleach are removed and, if necessary, the process is repeated. When the ideal shade is achieved, the hole is permanently sealed with a tooth coloured filling. Teeth whitening will only work on natural teeth and will not be effective on replacement ‘false’ teeth such as crowns, veneers or dentures. However, they can be replaced to match newly whitened teeth. Teeth whitening does not give permanent results but home whitening trays can be reused if a top-up is necessary. 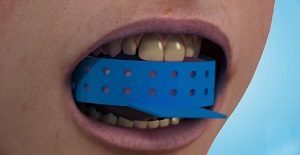 In a live tooth the dentist applies the whitening product using a specially made tray which fits into t he mouth like a gum shield. The chemical is then activated using heat, or heat and light combined. The active ingredient in the product is normally hydrogen peroxide or carbamide peroxide. First of all you will need 2 or 3 visits to your dentist. Your dentist will need to make a mouthguard and will need to take impressions for this at the first appointment. Once your dentist has started the treatment, you will have to continue the treatment at home. This will mean applying the bleach regularly over 2-4 weeks for 30 minutes to 1 hour at a time. Treatment results may vary depending on the original shade of the teeth. Teeth will tend to dar ken slightly over time. The effect lasts for around 1 to 3 years, although sometimes it can last longer. Some people find that their teeth are sensitive for the first few days after treatment, but this wears off after a short while.